But first things first... THE COSTUME! 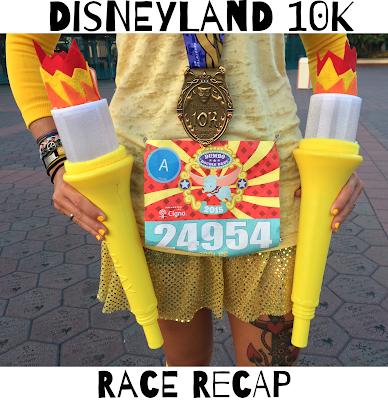 If you haven't been around for a while (which, if that is the case, WELCOME), then you probably don't know that I enjoy making a fool of myself and dressing up pretty ridiculously at runDisney races. 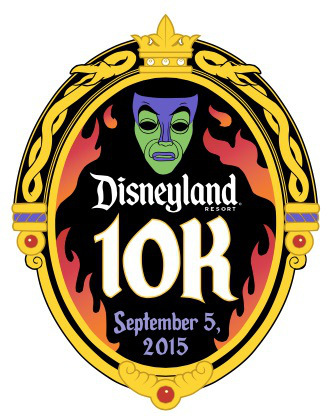 I still want the runners and spectators to know who I am, but I prefer non-traditional characters (that way I am not one of the 3,478 Minnie Mouses running on the course - don't get me wrong, Minnie Mouse is AMAZING, I just like trying to be a little more "unique"). 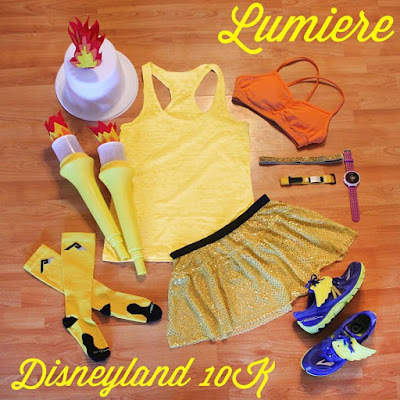 Since the 10K is the shorter race of the weekend (I was participating in the Dumbo Double Dare, which includes the Disneyland 10K on Saturday morning, followed by the Disneyland Half Marathon on Sunday morning), I knew I could make my costume a little more outlandish because I was "only" running in it for a little over 6 miles. I had some really awesome ideas... Like a Dole Whip (but I couldn't figure out the logistics to make it look legit), a Churro (um, someone else beat me to it because I saw a picture on Instagram of them! ), a Turkey Leg (I'm sure you can see the theme now, I must have been hungry when I was first brainstorming), etc. 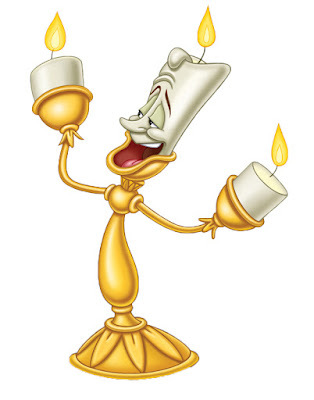 After much pondering and changing my mind, I finally decided on an actually Disney movie character, instead of a Disneyland food (but that doesn't mean I won't figure them out for a future race ;) ). My #FlatCarlee included yellow Marathon socks from Pro Compression, a yellow Sparkle Athletic skirt, a gold Sparkly Soul headband, a plain yellow burnout tank from Run with Perseverance, a yellow RoadID sport, my Garmin 220, a Freshly Squeezed Orange Handful sports bra, and a pair of Brooks PureConnects 2 with yellow reflective Shwings. I ended up finding the yellow "candlesticks" at the Dollar Store (they are actually "play horns", but I figured I could make them work). The candle portion is actually Dollar Store LED candles (which I turned on during the race because it was still dark out for the majority of it). The hat was from Party City and I added the "flames" with felt and LOTS of hot glue. I was worried that the rest of the costume had 23 too many shades of yellow/ gold, but it seemed like most people understood (although someone along the course did call me Lady Liberty). Now that I had the costume set, it was time to make a game plan for the race. In the past (since this was my 3rd Dumbo Double Dare Challenge), I usually take the 10K easier, more as a shake out run for the half. I figured I would stop for character pictures along the course (which forces you to take your time because you normally have to wait a few seconds in line) and just enjoy the morning. She went with the Malificient themed colors! AJ (@A2theJ44) & Ivie (@IvieAnne) ROCKED the Flotsam & Jetsam costume! In theory, my game plan was a great idea... That was, until I started running and realized that it was still pitch dark outside (I guess that is what happens when they start races at 5:30am to make sure everyone is out of the parks before they open). In the past, when it has been dark out and I have stopped for photos, the pictures have been pretty craptastic. They are all blurry or not in focus or just didn't turn out. I thought to myself, "Should I waste the time and effort to stop for pictures if they aren't going to turn out?" And by the first character stop I had decided to opt out of the photos for the race (also, a candlestick in each hand made it a hassle to get my phone in and out of my belt). Rudy and Carissa are my FAVES! So stoked everything held up, people "got" the costume, and I had a BLAST! Except for the hubby missing the race and me potentially not saving my legs enough for the following morning's half marathon, I would say it went GREAT! Being in the first corral DEFINITELY helps with keeping the lines for the characters short, but it also means it is still dark out (so if you plan on taking pictures, I would highly suggest some sort of camera/phone that takes great night shots). That reminds me... I had a MAJOR SNAFU with my corral placement this go around. 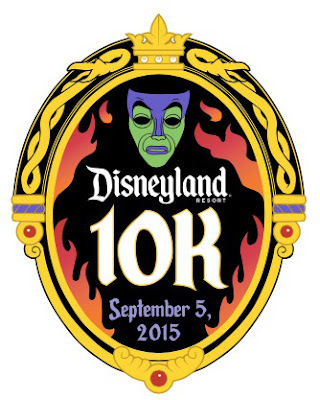 runDisney changed their process this year. Instead of entering your proof of time at registration, now you have to go back at a later date to enter your information. 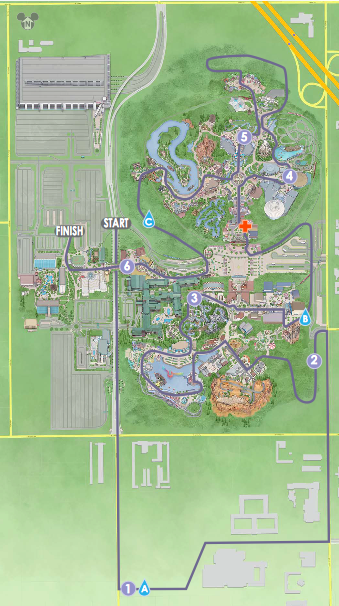 (Check out The Runner's Guide to Walt Disney World's blog post about this topic if you are interested in more of the details.) I am NOT a procrastinator so I put the date in my phone (it stays open for a while, but I "HAVE" to do things when they are first available) and put in my information ASAP. My proof of time (showing runDisney that I can run a specific finishing time so they can safely put folks into corrals with people who run a similar pace) was a 1:44:42 half marathon, which should have put me in Corral A.
Anywho, everything worked out and I ran away with a PR, some fabulous bling to add to my collection, and race #1 of the Dumbo Double Dare checked off the list! Have you ever worn a costume to run in? I absolutely loved your costume. Congrats on the PR! I'm glad you got your corral fixed. I would be in a late corral and have to wait ages for pictures I'm sure. Your costume is awesome! And running with both candle sticks, a double challenge for you ;) But you did it! I'm sorry for what had happened with your half marathon time, but I'm glad to read that everything went fine..and the medals are just awesome!! What a perfect costume for you...such a shining light all the time! Loved it...and I agree, maybe a side job of planning costumes is in store for you!